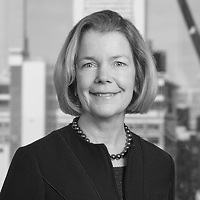 Mary Marshall, a partner in Nutter’s Real Estate Department and member of the firm’s Development, Land Use and Permitting practice group, was profiled in Banker & Tradesman as one of this year’s “Women of FIRE.” In the feature, “Women of FIRE: Mary Marshall,” Mary discusses her professional experience, career highlights, and community involvement. The FIRE (Finance, Insurance and Real Estate) sector has emerged as a keystone of the Massachusetts economy, transforming the knowledge, wealth and dreams of the world’s most ambitious visionaries into reality. As more and more women rise to the top of businesses and institutions in this sector, there is a growing need to shine a light on their achievements to inspire others. In 2018, Banker & Tradesman identified Mary as one of the most talented, the most ambitious, the most innovative, and the most philanthropic Women of FIRE.